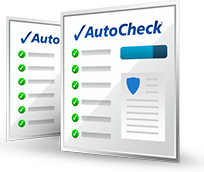 A history record is an event reported to AutoCheck by a vetted, reputable source that provides insight into the history of a vehicle and may include accidents, mileage, service history, number of vehicle owners and title brands like salvage and total loss. Get the full vehicle history report to learn more. Know the exact vehicle you want? One report may be all you need. Not sure which vehicle is best for you? Research up to 25 reports. Not sure which vehicle is best for you? Research up to 300 reports. Search by vehicle identification number (VIN) or US license plate to find the car you want to research. Multiple Reports if you're still shopping and considering many vehicles. A single report might be right for you if you've found your dream car and are ready to buy. 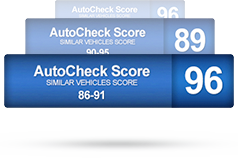 Spot your perfect vehicle quickly with the patented AutoCheck Score and minimize the risk of buying a vehicle with unseen problems. Learn if a vehicle has been reported in an accident, branded a lemon, damaged in a flood, reported repossed or stolen, and more. 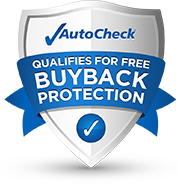 Be confident in your purchase and enjoy access to benefits such as free Buyback Protection for registered, qualified vehicles.